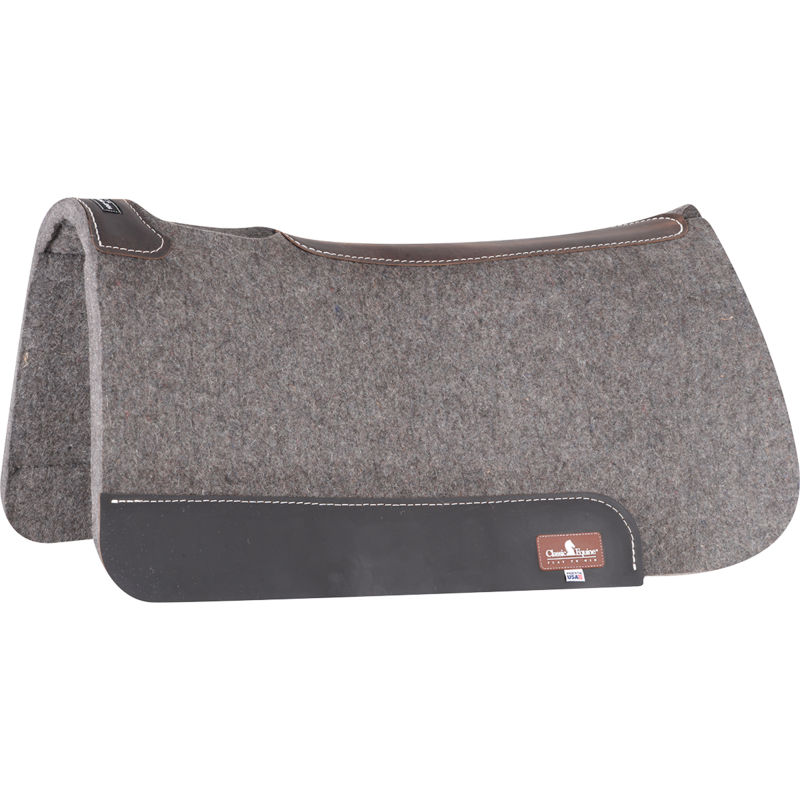 100% New Zealand wool top stays clean, resists matting and keeps its appeal for the life of the pad. 1/2” orthopedic grade felt center remains soft and pliable and provides excellent shock absorption. 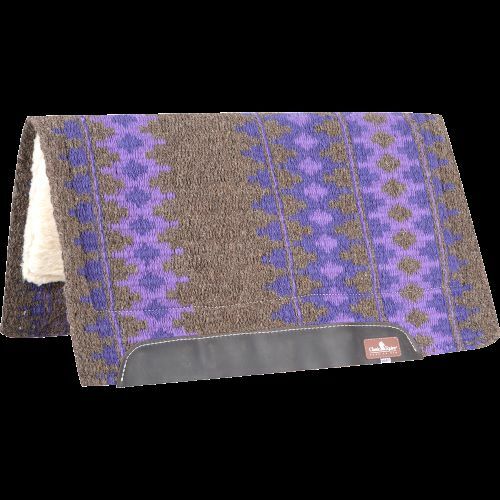 100% wool fleece bottom wicks moisture and provides maximum comfort to your horse’s back. Oversized to work with all types of treeless and sport style saddles. Size 31 x 32 Made with an advanced grade 100% wool consisting of 80% virgin fibers. The felt is pressed for better compression rebound and a much longer life than the typical synthetic or needled felt pads. Superior ability to disperse pressure, wick away moisture, and diffuse heat. 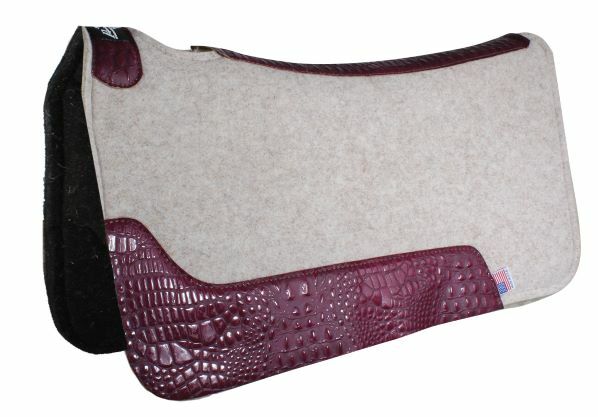 Super soft and pliable, this pad easily and naturally conforms to the horse's back. 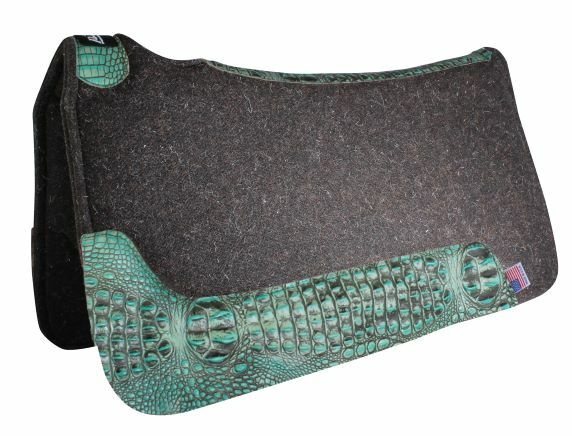 Extremely durable, long lasting, and provides increased shock absorption and comfort against your horse. Cut out over the withers and contoured to fit close to you horse's back. 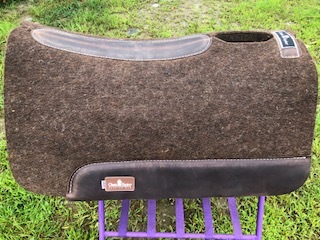 Professional's Choice barrel saddle pad. Pad thickness is 1 and 1/4". Size is 29" x 30"